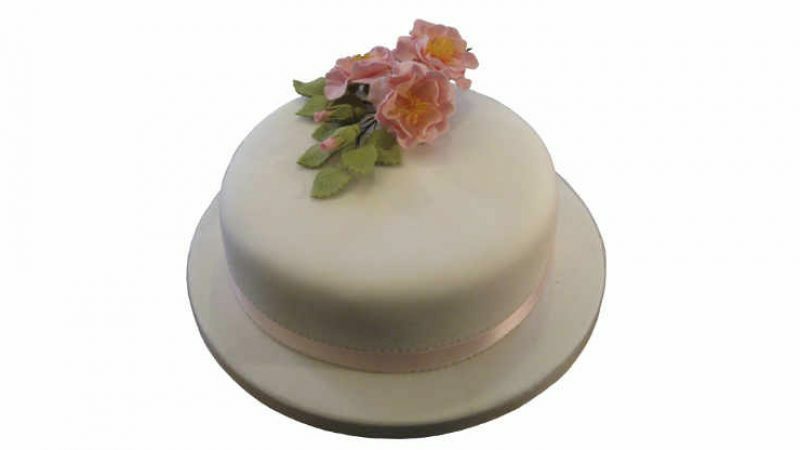 Using rolling fondant to cover cakes results in a beautiful, smooth finish, unlike anything else, but if you live in an area where there are extreme weather conditions, it can be a daunting task. Here are some tips that may help and also some information on how to turn your domestic fridge into a cake fridge. There are so many things about making and decorating cakes that give you problems. For example – the ingredients, the recipe, your oven, endless distractions from your surroundings and even being in the right frame of mind to work on a cake. The list is endless but, one of the main problems cake makers and decorators have to contend with are weather conditions, and I doubt that any country has perfect weather conditions all year around. However, dedicated pastry chefs do not give up; they try their best to work around their problems, find recipes that stand up better to adverse weather conditions and endeavor to produce perfect cakes. Cold weather can make working with rolling fondant difficult, especially if you don’t heat your kitchen overnight, which is often the case if you need to keep cakes cool that are waiting to be delivered. If fondant has been left in a cold kitchen or a cool pantry then you need to bring it up to room temperature before you use it because cold fondant can be quite stiff and hard, will crumble and be nearly impossible to roll out. To be able to work easily with your fondant your kitchen needs to be approx 21C/70F, which is the standard temperature for a kitchen. Also, if you store your fondant in a freezer then remove it the night before you need to use it and, keeping it tightly wrapped, make sure it thaws out completely and reaches room temperature before unwrapping it. If by the time you need to use it, it has not warmed up enough then placing it near a heater should speed up the process or if you really can’t wait then blast it for a FEW SECONDS at a time in the microwave until it is soft enough. Note: Just be careful not to overheat the fondant, or you will be at risk of burning your hands, and if it is that hot then it will most likely be unusable because remember it is sugar and sugar turns into toffee or burns when it is overheated. In contrast, heat or heat & humidity can be just as frustrating to deal with. If fondant gets too hot then it will be very soft and if humidity is added then the sugar in the fondant will absorb any moisture in the air, and it will become sticky. If you are going to make a lot of cakes then it is not worth the frustration of trying to work when you have no control over the temperature or the atmosphere in your kitchen. The sensible thing to do is to invest in air conditioning and in extremely humid conditions, a dehumidifier. It makes economic sense as it saves a lot of bad temper and ruined ingredients. However, if you are just starting out or just make the occasional cake then it may be an expense you can’t justify. For my kitchen, I invested in a portable air conditioning unit and several fans. It works for me as the conditions where I live are not too extreme but if your climate is more severe then the setup I have may not be enough for you. My easy rolled fondant recipe, which you can find on my website blog, should be good to use in most climates. The only ingredient that would melt is the white fat, but I don’t think there is enough in the recipe to affect it. Some people say you should leave it out, but I think it would change the texture and how it would roll out. I know that some bakers who work in hot and humid conditions add ½ tsp of gum tragacanth/tylose powder to each 16oz/450g of fondant to give it a stiffer texture. If your rolling fondant becomes sticky, it may not be just the weather that is the problem. If you have to work in a kitchen where cakes are being baked at the same time, it may have the same effect. There are a few things you can do to make your fondant easier to work with. You can wrap it well and place it in the fridge for 20 mins to cool down. If you tend to have hot hands then cool them down frequently in cold water but remember to dry them well or you will alter the texture of the fondant. When you roll out the fondant, use cornflour/cornstarch instead of icing sugar, and that will absorb the moisture more efficiently as you are working, however, don’t use too much or you will dry out the fondant too much, and you won’t get a smooth finish when you put it on your cake. If you need to stick fondant to fondant while you are decorating a cake instead of using water use alcohol, e.g., Vodka. The alcohol will evaporate quickly, it is tasteless, and it won’t add extra moisture to the fondant the same as water would. There can be all sorts of problems when you have covered a cake with fondant so try to eliminate most of them from the start. Try to make a cake that has a filling that won’t go “off” quickly in the heat, for example, fresh cream will not keep long without refrigeration, and fresh fruit will go soggy very quickly. If you really need to use fillings that will perish without being refrigerated then try not to put the fondant on until the day you need the cake. If the cake has been in the fridge, then take it out of the fridge before you are ready to use it so that it is not too cold when covering it with fondant or you may find that the cold cake will cause condensation to form on the fondant and ruin any decorations. Don’t put any gum paste sugar flowers on the cake before putting it in the fridge. It’s not wise to stack the cake before refrigerating it – also you would need a very large fridge to take a stacked cake. Before you place a cake in the fridge, put it in a cardboard box. Place some silica-gel packs in the bottom of the box (which you can buy in craft shops or from Amazon) or uncooked, dry rice scattered in the bottom of the box to absorb the moisture. Close the box and cover it tightly with cling film/plastic food wrap. Set the fridge temperature to it’s warmest setting so not too much condensation forms when it is brought back up to room temperature. When you remove the cake from the fridge leave it sealed in the box until it reaches room temperature and you will, hopefully, prevent any condensation from forming and spoiling any decorations. The cardboard box, silica-gel or rice should absorb it. When you take the cake from the box, if by any chance there is still condensation left on it, don’t touch it or you will ruin the surface and even make colours run. Leave it in the opened box and let it dry in the air. If the filling will not deteriorate, then store fondant covered cakes in a cool place. The fondant will seal the cake, and it will stay fresh for a couple of days. Don’t refrigerate a rich fruit cake that is covered in fondant. Put it in a box, store in a cool place, and it will keep for a long time. If you have a large enough bakery then investing in a baker’s humidity controlled fridge would be the answer as fondant covered cakes can be stored in it without any fear of being spoilt. Some domestic fridges are also low humidity. You can test the level of the humidity in your fridge by setting it to the warmest setting and placing a small, fondant covered, real cake (not a cake dummy because it won’t work) unboxed, in the fridge, leave it overnight and you will be able to see if it has gathered any condensation. You may be the lucky one who doesn’t need to put the cake in a cardboard box. Note: If you are going to use a domestic fridge for storing cakes then it shouldn’t be a fridge you use for other food. Rolling fondant absorbs flavors and smells from anything it is placed near. If you repurpose a fridge for your cakes, then wash it out thoroughly with a mild soap, rinse it well, dry, then wipe it down with lemon juice and that will eliminate any residue of smells, etc. Because I know how expensive buying specialized equipment can be I have been searching the internet for the purpose of finding a way to convert a domestic fridge into a cake fridge. During my search, I came across a company that has a product called a Polar Fresh Refrigerator Filter. It is a humidity control system that can be put into domestic fridges and they also produce a system for commercial fridges. I wrote to the company, asking for some details and within a few hours, I received the very informative reply below from Pamela Goldstein from Humidity Control Systems, Inc., and she said I could pass the information on to you. “Yes, we work with several bakeries and chocolatiers who have contacted us with similar concerns about the fondant cakes and chocolates sweating from too much moisture. We have successfully solved this problem with our filters for the majority of people. With our filter in place, they are able to refrigerate their cakes without the cardboard boxes, and the excess moisture is controlled nicely. However, there is a small number of people who said it didn’t help with the issue as much as they would have liked. It is hard to know exactly why it works for some and not as well for others. The type and condition of the refrigerator, how old it is and how much it is used can all play a factor in the outcome. We also recommend that people let the items cool before putting them in the refrigerator because the warm and cold mixing will create moisture on the surfaces of the cakes and chocolates. For customers in the United States with commercial walk-in and reach-in coolers, we provide a free trial for our commercial size filter, CoolerKING®, so they can see the results before signing up for the service. 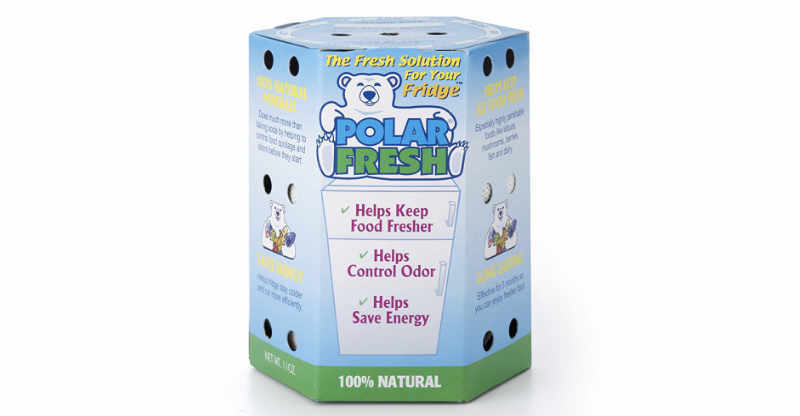 You can purchase the Polar Fresh filters directly from the company for around $30 for four months supply, which I think is a great price to eliminate the “sweaty cake” problem and it is cheap enough to try it out in your fridge. The company offers Free shipping within the USA, and for outside the USA, on their order page, there is a link to a contact form where you can ask about delivery to other countries. You can also buy Polar Fresh from Amazon for about the same price if you include shipping. Like everything in the cake making and the decorating world, there is only one way to find out how the things you use will work for you, and that is to try them out. Dealing with an extreme climate is no exception so if you want to produce perfect results, whether it’s a new recipe, a new method, a new ingredient or new equipment, then it is important to have tried, tested and practiced with it before making cakes for friends, family or customers. 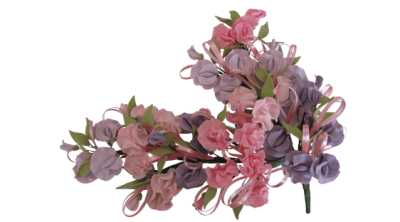 In my blog post about making Gum Paste Sugar Flowers, in extreme weather conditions, you will find lots of tips and information that I am sure you will find useful. I hope this article has helped you with some of your problems and I would love to hear from anyone who has made their domestic fridge into a cake fridge and also from anyone who has more ideas to offer about cake making and decorating in extreme weather conditions.